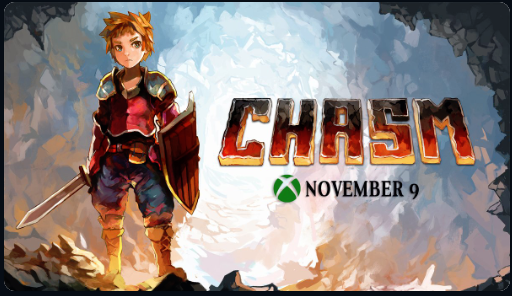 Chasm, the indie Metroidvania rouge-like adventure, that launched this year after a long development will now arrive on Xbox One this November 9th. Chasm is a procedurally-generated platform adventure title. Each new playthrough generates a new layout that the player must navigate to save all the people inside and defeat the bosses within. Chasm is now available for PC and PS4.